We have noticed that when you create a table on a form and add table rules you can get poor performance. It can be even worse if you additionally put dictionary fields in table. Therefore we decided to make some optimizations. New version works 3x faster when opening a case and up to 10x faster when saving form with big table. Further optimizations are planned and will be available in versions 1.9 and 2.0. Are you looking for easy-to-use, agile, intelligent workflow and you want to have it in your SharePoint. Here you have it! 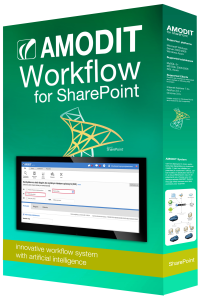 AMODIT Workflow for SharePoint is fully integrated with Microsoft SharePoint platform. It works as SharePoint site and blends with its look and feel. End users will see it as just another cool feature of SharePoint. And it is much easier to use and much easier to define processes than standard Windows Workflow Foundation (WWF). It works with SharePoint 2007, SharePoint 2010 and SharePoint 2013. Menard Polska company have chosen AMODIT to automize invoice acceptance. Time from decision to production start took less than 1 month and consisted of 4 days of workshops. Deployment covers also scanner integration. 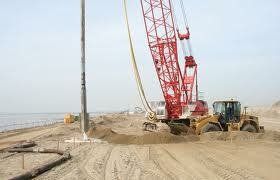 Menard is a construction company and offers comprehensive solution for special foundations and strengthening ground, from design to implementation. 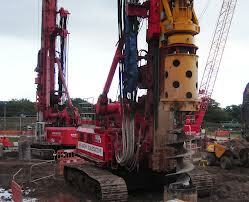 Menard Poland belongs to the group of Soletanche Freyssinet which is part of a consortium of Vinci.